Aaron Neuwirth reviews Alfonso Cuarón's Roma, the prestige Netflix feature that is set to make a big splash. I tend to be fascinated by the moves made by filmmakers when it comes to following up major successes. Alfonso Cuarón’s Gravity qualifies as anyone’s definition of a victory, given both the massive box office hit that it was, along with the filmmaker’s Oscar for Best Director awarded to him for his troubles. So, what does one do after that? Well, Roma is an intimate passion project created on a grand scale. 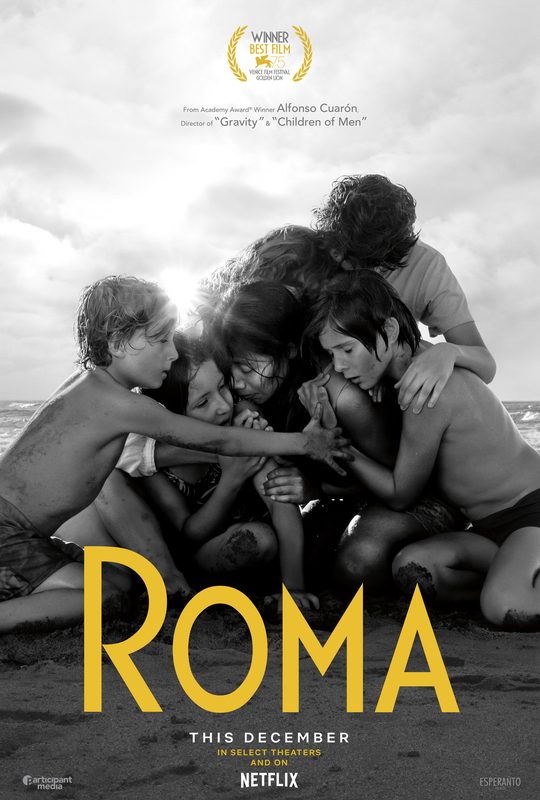 No longer dealing with the expansive wizarding world of Harry Potter, a sci-fi dystopia, or the chilling emptiness of space, Roma is a film grounded in a more relatable reality, giving way to a personal story that’s been decades in the making. 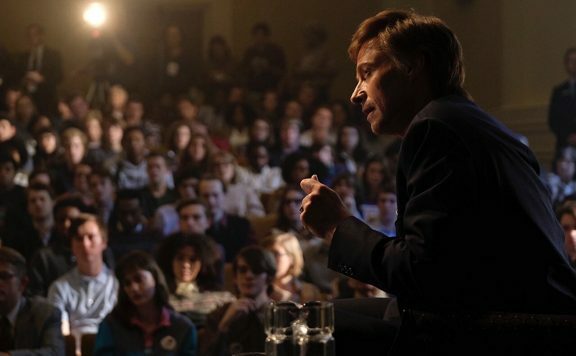 The result is a movie rich with life, that deserves to be placed on a big screen. Emphasizing that last point, Roma is a film no less worth seeing on a huge theater screen than any number of blockbuster spectacles. 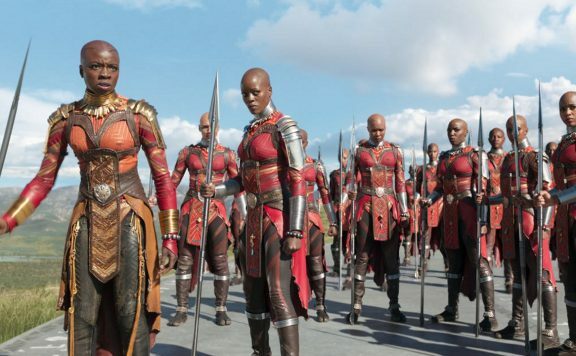 While the film is being distributed by Netflix, effort to encourage the streaming platform to provide a wider theatrical release is quite notable. 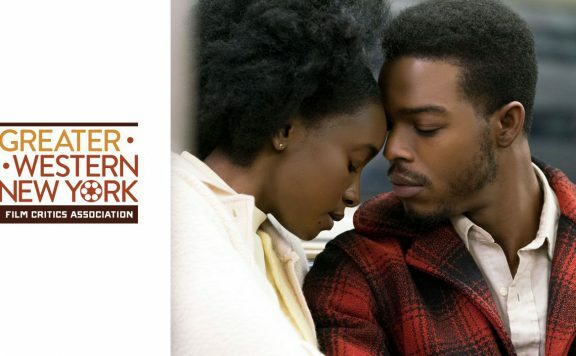 Following the success of 2017’s Mudbound when it came to awards recognition, it would seem that having auteurs such as Cuarón and the Coen Brothers is paving the way for Netflix to loosen up on what makes the most sense regarding how you view the grand features created by these immensely talented artists. 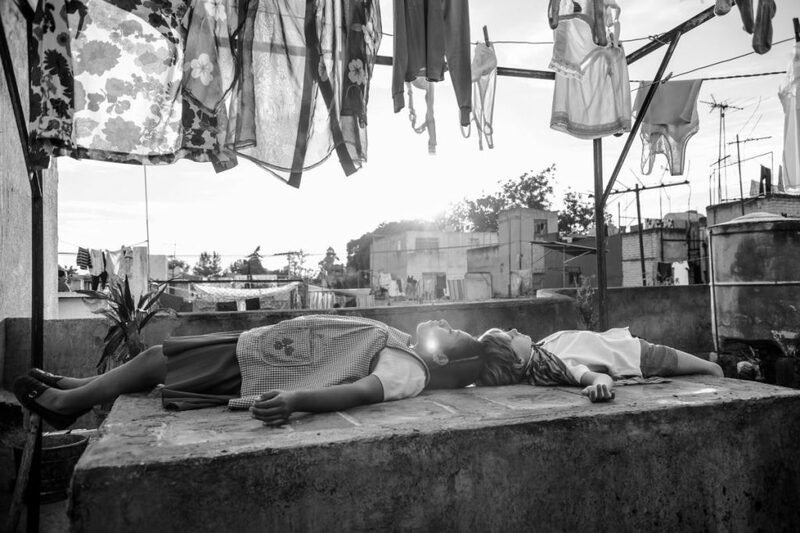 Without wanting to disrespect the efforts of other filmmakers who also made films for Netflix, with no real chance of a broader theatrical showing, Roma has so much going for it. It is something of a dramatic epic, given how it places a few key characters within a time when political upheaval had reached a boiling point in early 1970’s Mexico City. There’s also the technical prowess put on display in full, which finds a way of presenting sweeping looks at the busy city while retaining a focus on characters that would be deemed minor by those on the outside, but crucial to Cuarón. While not a direct autobiography of Cuarón’s own life, the story has been crafted by him, thanks to how he chose to adapt the stories of his young life and those relayed to him by his actual family maid. 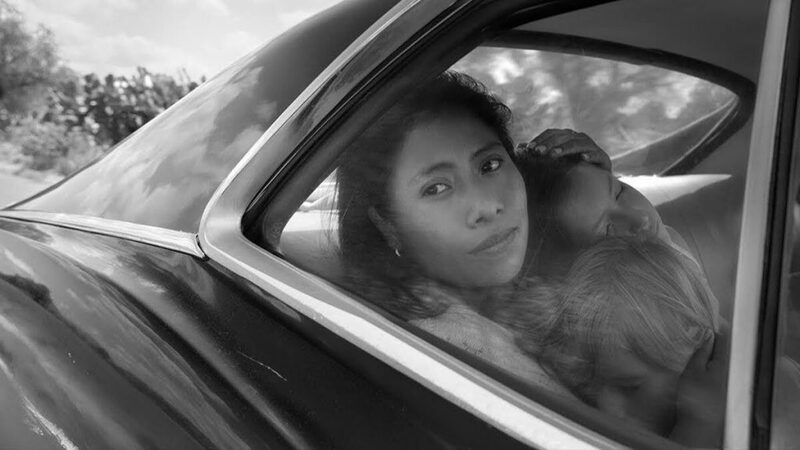 For Roma, the maid is played by newcomer Yalitza Aparicio. 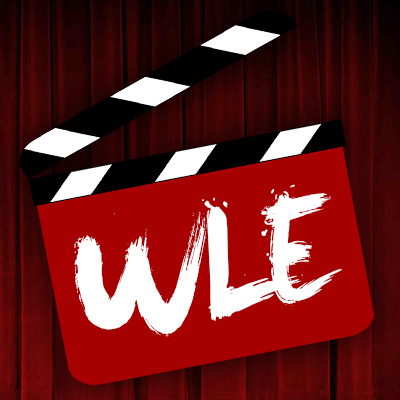 The character’s name is Cleo, and she is the woman who leads this film. Set during an eventful year in her life, we watch her go from dealing with her day-to-day duties working for an upper-middle-class family, to experiencing both the pleasures and harshness of life. That these events happen to correspond with both dramatic shifts for the life of Cleo’s boss, Sofia (Marina de Tavira), mother of the house, along with major socio-political events of the time, only serve to enhance the depths of the narrative. One could argue over how fitting it is to let significant events overlap each other so conveniently, and whether or not there’s a rosiness to what sort of message Cuarón is ultimately attempting to put out there (despite the evident mean streak that runs through a lot of this film). However, I admired the earnest pursuit of a closed off story juggling so many ideas. I can’t tell how much Cuarón would say is an exact match to his own experiences, but it is easy to understand his desire to create a very human-scaled depiction of a complicated time, especially given the perspective. I have seen other films with similar stories, told from the viewpoint of one of the children. It’s a way to mask some of the harsher moments taking place, as well as find a sense of beauty or renewal through the innocent eyes we are watching behind. Roma chooses to show us the events of Cleo’s life and how she experiences them, which is handled masterfully. Aparicio is terrific here, taking whatever direction given to her and delivering a performance that is finely nuanced, heartbreaking, and authentic for a non-actor with more interest in pursuing a career in education. Watching the emotional and physical journey Cleo goes on keeps the deliberately-paced film an engrossing watch, made all the more captivating thanks to Cuarón’s choices as a filmmaker working in all areas of production. Serving as his own cinematographer and co-editor, the smaller budget and comparable scope of this film did not mean limiting Cuarón’s ambitions as a filmmaker. 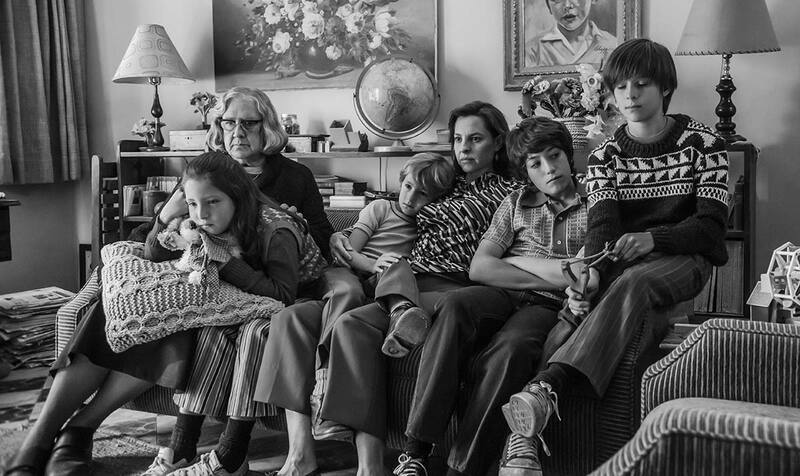 Stylistically speaking, Roma is a tour de force. Why contain himself to a limited visual perspective, when he can continue finding ways to show off in a manner no different than his higher-budgeted, high concept efforts? Shot in a silvery monochrome that still makes for a warm and emotionally colorful experience, there is also no shortage of long takes, precise framing, and symbolic imagery. From an opening scene that provides viewers with a long look at a tile floor with waves of soap gushing over it, to a climax featuring actual ocean waves filling the frame, there are plenty of amazing sights to behold. The vast display of this period in time for Mexico City leads to many busy sequences, featuring tons of extras and all kinds of production details. The re-creation of the Corpus Christi massacre, during a pivotal moment in Cleo’s life, is an easy way of reminding just how much control Cuarón had in his brilliant Children of Men when it came time to blend character arcs with an ongoing display of thrills. On top of all of this, there are the thematics on display when it comes to placing Cleo’s life within the context of the time. Here’s where De Tavira’s character has a chance to shine, as the two are both struggling women thanks to how gender roles of the time would affect both of them. Nevertheless, the film also doesn’t let the nature of that relationship slide, as Sofia is still one cushioned by money, while Cleo must deal with the hand given to her. Of course, as the film finds a way to blur her standing as a maid and surrogate family member, Roma never stops working as a rich portrait of a significant portion of one’s life, and how it worked out to be crafted into a stunning picture. So yes, find Roma on a big screen, given the opportunity. Or watch the film on a large screen at home, preferably loud, as the superb sound mixing is just another spectacular aspect of this film. As Cuarón’s first film since Y Tu Mama Tambien to explore Mexican culture, he finds himself equipped with all the abilities needed to bring this particular story to life. 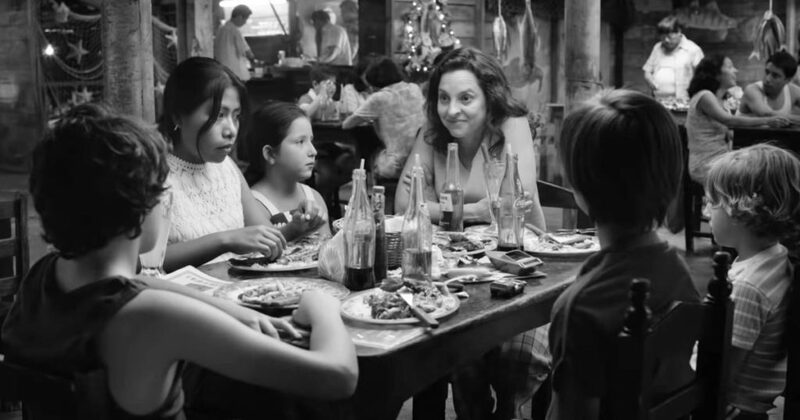 Roma doesn’t underplay itself either, as the film bursts out of the screen with all the filmmaking abilities afforded to a creator willing to draw beyond the borders. Fortunately, it was all very worthwhile.